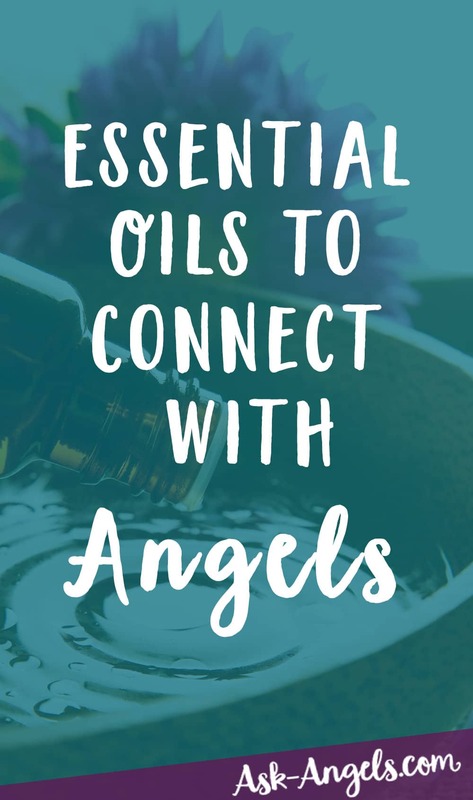 Essential oils are powerful tools for bringing healing to your mind, body, and spirit… They can also help you to connect with help and guidance from your angels! In case you’re new to the world of essential oils… Essential oils are distilled from herbs, flowers, leaves, roots, and other plant material. Pure essential oils carry the vibrational essence of the plant they were derived from. For centuries, cultures and people all over the globe have sought out essential oils to promote spiritual, mental and physical well-being. With spiritual uses ranging from anointing oil or being used to cleanse and purify sacred spaces or places of worship, essential oils are a powerful tool for spiritual growth, angelic communication, meditation, or to simply honor the divinity within. Across the lines of time and cultures spanning the globe, essential oils have remained a constant in the spiritual growth of people around the world. Angels are spiritual beings whose energy is so light and pure, their presence and guidance is easy to miss unless you take steps to raise your vibration, and consciously tune into the realm of angels. Essential oils each have a specific and constant vibration. Many essential oils carry an incredibly high and light frequency, which when smelled or rubbed on the skin, can help you to raise your vibration to bring you into alignment with the angelic realm. Like flowers, herbs, or crystals, there are many essential oils which can help with specific issues or to connect with your angels. Essential oils can also be blended together to create a unique vibrational frequency. For this reason, I strongly recommend you listen to your intuition as to which oils will work best for you… You can also use pendulum dowsing to tune into the oils which will best serve your purposes. We’re all unique, and you will naturally resonate with certain oils more than others, and an oil I don’t specifically mention here may work wonderfully to help align you with the angels. Trust your intuition and go with what works! That being said… I’ve done some homework and checked in with my team of guides and angels to come up with this short list of essential oils which are great for using to connect with the angels. This is by no means an exclusive list… So if a certain oil feels right for you to connect with the angels, by all means go with what works! Frankincense– Frankincense Essential Oil carries an incredibly spiritual vibration. In Biblical times it was considered to be more valuable than gold and used as an anointing oil. It will help to calm and ground your energy, preparing you energetically to lift in vibration so you can to connect with the angels. Geranium- Geranium Essential Oil will help to open your heart which is a direct step on the path of connecting with your angels. It will also help to open your intuition. Rose– Rose Essential Oil is well know to be the one of the essential oils with the highest vibration. Roses are also heart opening, and help you connect with the energy of love, and the angelic realm. Hyssop– Hyssop Essential Oil is purifying and powerful for repelling negativity. Connecting with angels is so much easier when you cleanse yourself of negativity or dense energy you may be carrying… Hyssop will help with this! It also promotes balance, inner peace and calm, forgiveness, and faith, all of which are incredibly helpful in connecting with the love and guidance of the angels. Myrtle– Myrtle Essential Oil carries an uplifting energy which vibrates in harmony with love, and therefore with the angels. It will help you to love yourself, and tune into love in the present moment. It also promotes healing forgiveness, acceptance and harmony. 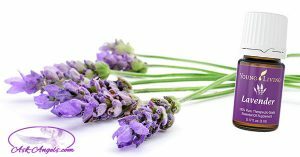 Lavender– There is a reason Lavender Essential Oil is the most popular essential oil on the market. Lavender has so many beneficial properties; some of its spiritual uses are oftentimes overlooked, but there are tons of them! Lavender will help you to relax and let go of stress (essential for angelic communication). It also helps to open clairvoyant sight (so you can see your angels), and it will also help you to focus, and quiet your busy mind (also key for connecting with angels). Angelica– Angelica Essential Oil… With a name like that are you surprised it made the list? This oil has a warm earthy sent which is beautifully aligned with the realms of spirit and of course the angels. Cedarwood– It was while meditating under a tree when the angelic realm first opened before me. It’s no surprise the oils derived from several trees (Cedarwood included) are making this list of oils beneficial for connecting with angels. Cedarwood Essential Oil will help to sustain your connection with the spiritual energies you’re tuning into. It will also help you to balance, uplift, and focus your awareness so you can begin to tune into your angels. Sandalwood– Sandalwood Essential Oil will help you to elevate your consciousness into the higher realms, and pave the pathway towards the realms of spirit so you can enter into deeper meditations where you’re able to receive guidance and healing from the angels. Similar to how sandalwood incense invokes a spiritual atmosphere, sandalwood essential oil does the same without the smoke. Lemon, Sweet Orange (other citrus)– Lemon Essential Oil, and other lively citrus oils are bright, happy, and perfect for aligning you with happiness, and with angel energy. Citrus oils vibrate quite highly, and will help you to connect with joy which will draw your angels to you. Peppermint– Peppermint Essential oil serves as a great refresher, so use before prayer or meditation to refresh your mind which will allow better spiritual focus. Peppermint is also useful in stimulating dreams (a great place to connect with your angels) increasing awareness, and clearing the pathway toward the angelic realm. Use your intuition as to which oils will help you connect with your angels. Try them out and let me know what you think! Which of these do you resonate with? Were they helpful in connecting with your angels? When it comes to essential oils, be sure you’re using high quality essential oils… Also avoid fragrance oils or any essential oils which are less than pure. For pure, high quality essential oils… Click here! There are of course, many other oils that can help you raise your vibration which is key in connecting with the angels. But these three, I especially like for the purpose of connecting with your angels. Peppermint essential oil helps to clear your mind. It’s also very energizing, and will help you to bring your focus and awareness into the present. These are both important things for connecting with the angels. Clearing your mind and quieting your ego will help you to tune into your heart, so you can then hear the guidance and receive the love of the angels. Lavender helps you to relax and it helps you to open your third eye. Both of which will help you connect with your angels. When you’re relaxed and calm, angelic guidance is so much easier to hear and see and feel and receive. And of course, when your third eye is open, that’s your center of clairvoyance sight, you can then begin to see angels. Finally, and yes my favorite, sacred frankincense. Sacred Frankincense has an incredibly high vibration. It will help you to tune into a spiritual sort of vibe that elevates your energy and supports you in linking with your angels. So How Do You Actually Use Essential Oils to Connect With Angels? The way I like to use essential oils is to simply open up the bottle, and then take the oil and put a drop in your hand. Next rub your hands together and then just smell the oil. And just by doing that, especially with sacred frankincense, I experience an immediate vibration lift. You can also then rub a bit on the area of your third eye which is great with the lavender or frankincense, rub a little bit on the back of your neck, or you can place it on your temples, your wrists, or just move it through your aura. When you work with essential oils in this way, you’ll notice a vibrational shift, especially if you’re sensitive to energy. Then breathe, relax, listen, and experience your angels because they’re always all around, and shifting your vibration and raising it with essential oil can help you to tune in. I do use young living essential oils which you can learn more about here. Whatever kind of oils you use, just make sure they’re incredibly pure and have a high vibration because there’s a lot of like synthetics and things out there in oils which you don’t want to mess with. So, use a quality oil and enjoy raising your vibration and increasing your connection with the angelic realm. I wonder what if the scent of vanilla even though more a resin than an oil has any effect? I find vanilla very calming yet warming. Yes! I am actually diffusing the stress away blend right now… It has lime, vanilla, copaiba, cedarwood, lavender and ocotea … I find it to be very calming, while also having a powerful focusing effect! KNOWLEDGE IS POWER…you can help not only yourself but ,relatives,friends & acquaintintces ! Sharing these high vibrational oils is so much fun when You see people transform in front of your eyes. THANKS MELANIE for sharing ! I have used lavender essential oil today, after a long time :)) I love it. Essencial oils or also so called ethereal oils are wonderfully effective and gentle and better than perfume. I personally love a mixture of lavender, neroli and rose or clary sage or camomile. I also love Frankinsense, myrr and cedar wood or pine even black pepper. I do not know the name Hyssop but maybe in another language. I hope they will bring me closer to the Angelic Realm. I love lavender sandalwood frankiensence and tree tree oil. The most effective oil is lavender. I love jasmine with orange. It smells wonderful in the diffuser. Reading this article about their benefits with respect to angles and moving to higher vibration , I feel so very inspired in using them. I will be more consistent in using them, an easier tool to shift my vibration to an extent. Thanks a lot Melanie for the consistent and wonderful support you offer to people and the Universe.